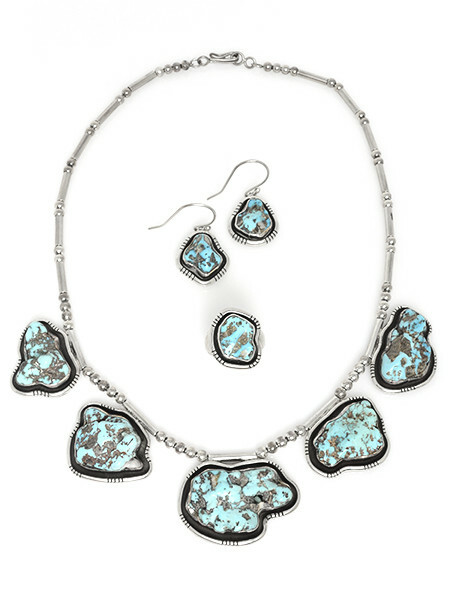 Godber Turquoise Necklace, Earrings & Ring Set by E. Begay (Navajo) This necklace measures 19 inches around the neck. 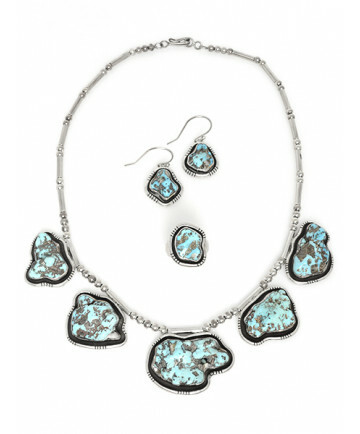 Each cluster of turquoise measures approximately 1 inch long by 1 inch wide. Each earring measures just over 1 1/2 inches long, including the silver ear wire, by 3/4 inch wide. Ring is size 7.